Join the latest toy craze! 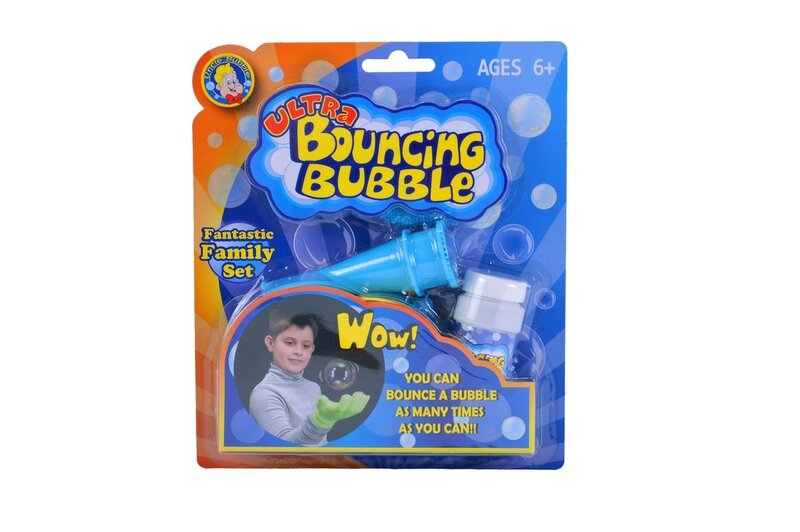 Ultra Bouncing Bubbles come in a kit with everything you need to amaze your family and friends. Make a softball sized bubble and use the gloves included to bounce the bubble. Pass them to a friend, juggle them and spin them in the air. See who can bounce their bubble the longest! 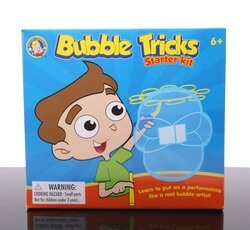 Uncle Bubble's Ultra Bouncing Bubble is the original bouncing bubble toy. A party favorite!